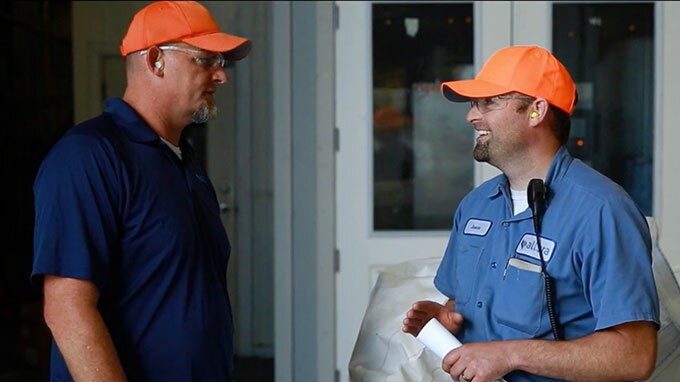 Working at Allura is more that just a job - it's an opportunity to be part of something bigger. Through hard work, perseverance, and a deep commitment to our customers, Allura has grown to be a force in the exterior building materials industry. Allura is part of Elementia, an international company with produces building materials for the construction sector through cement, building systems and metals divisions in nine countries through the Americas. A strong culture makes for a strong company. That's why we're excited to do all we can to create the strongest Allura possible. We can do this through an advanced formula that blends our Mission, Vision and Values. To passionately produce high-quality fiber cement products while offering exceptional customer service and value. We call it ALL IN and it goes beyond just doing a good job. ALL IN encourages each of us to perform with a passion and commit to make Allura the best fiber cement company in the world. ALL IN binds our purpose, guides our business and inspires our every endeavor. Our goal is to attract, choose, retain and develop recent college graduates. We are looking for leaders to challenge standard approaches and find ways to maneuver around old practices with demonstrated compatibility with Elementia values. We also promote their professional growth and development in order to train the future leaders of our company. Learn more about the Elementia Trainee program. We offer excellent Medical plans with PPO and HDP options. We also offer great Dental and Vision Plans, as well as Life Insurance, Short Term Disability, and Long Term Disability, We also offer 401k (with a matching contribution), competitive Vacation and Paid Holidays.